If you or your loved ones live near a nuclear power plant, you will NOT want to miss the next exciting program on Monday, October 9th, at the Ross Pendergraft Library. Mike Bogue will discuss his latest book “Apocalypse Then: American and Japanese Atomic Cinema, 1951-1967” in RPL 300B at 7:00 PM. Explore how the United States (the only country to have ever dropped atomic bombs on another country) and Japan (the only country to be attacked by atomic bombs) portrayed the threat of nuclear fallout and annihilation differently on film during the 1950’s and 1960’s. 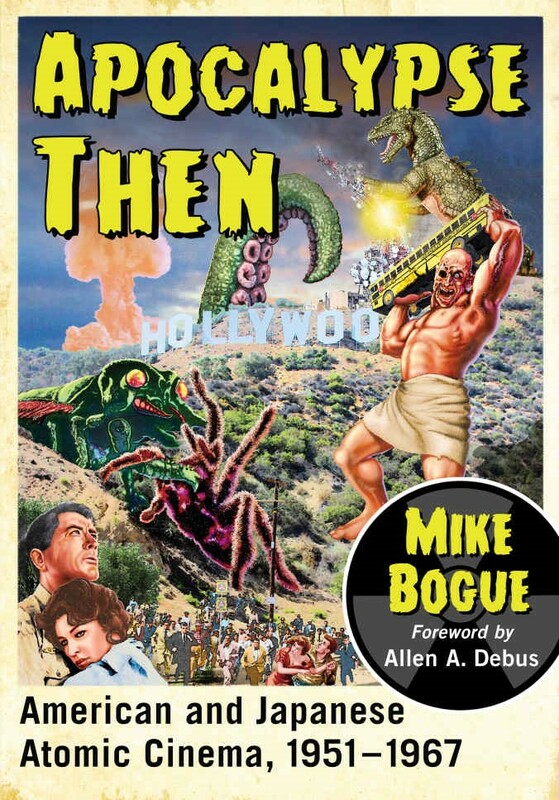 Mike Bogue, whose previous book was titled Atomic Drive-In, will discuss movies like Godzilla (1954), The Mysterians (1957), On the Beach (1959), The Last War (1961), and Dr. Strangelove (1964) to illustrate how both cultures shared their apocalyptic fears in the cinema. Following the presentation, there will be a question answer session, and Mike will be available to sign books if anyone wishes to take one home. This session is part of the Library’s ongoing “2nd Mondays” series where we invite local Tech authors to share their books with the campus community. This session and all others at the library are free and open to the public. For more information about this program or others in the series, contact Luke Heffley at lheffley@atu.edu or follow us on Twitter and Facebook.